630 Swanston Street, Carlton 3053. 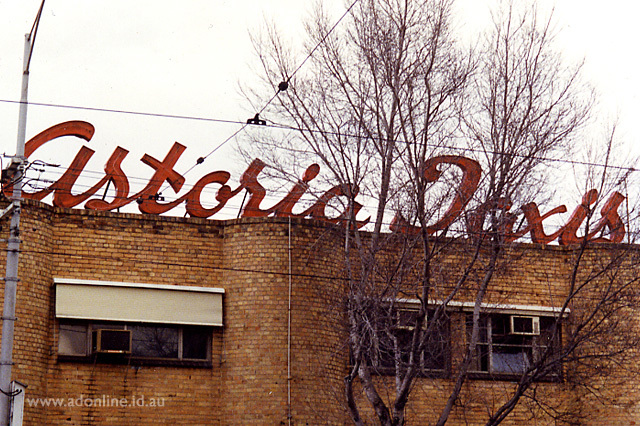 The Astoria Taxis sign is one of Melbourne's most typographically significant neon signs, on par with the Slade Knitwear sign. The sign consists of orange metal-trough cursive lettering. 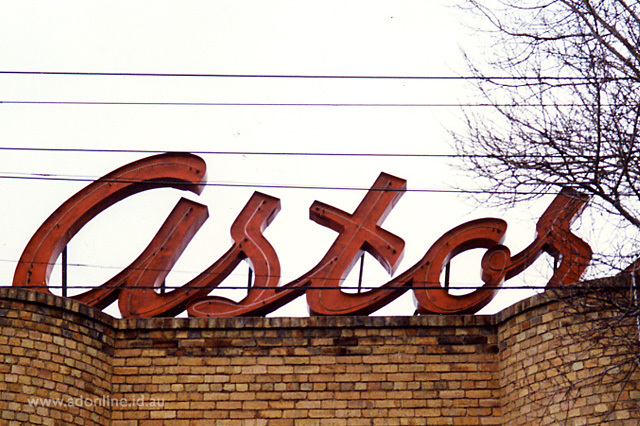 The Astoria Taxis sign was manufactured in about 1950 and sat atop offices on the corner of Queensbury and Swanston Streets, until it was moved to new premises at 630 Swanston Street in 1962. There it remained until April 2002, when it was removed and the building demolished to make way for the Uropa Apartments. The sign is currently in storage. The owners intend having the sign fully restored in coming months and whilst the sign will be illuminated, it won't be on public display.